The technology has come a long way, but building, maintaining and marketing websites is still tough work. That's where I can help. I'm Johnny Website. I want to help you with your website. Create a quality content marketing strategy to build your audience, strengthen your brand and generate more business! Let's whip that website into shape for better search engine rankings, more traffic and more conversions with Johnny Website's SEO services. 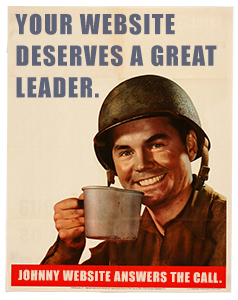 Put a solid, experienced leader in charge of your website. 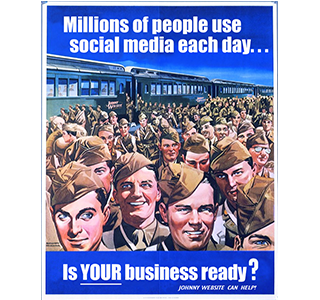 Use Johnny Website for your website and content management needs! Put years of experience behind your website production, content marketing, SEO and more. See Johnny Website's services.